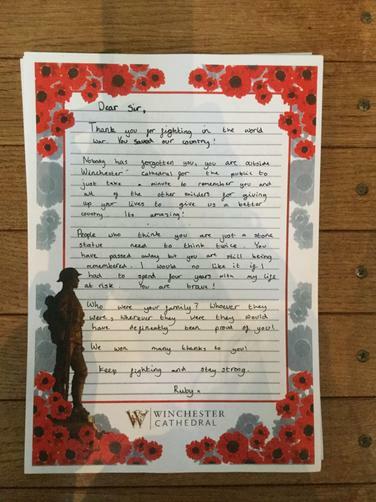 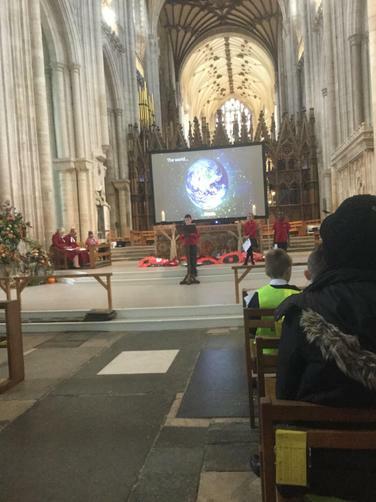 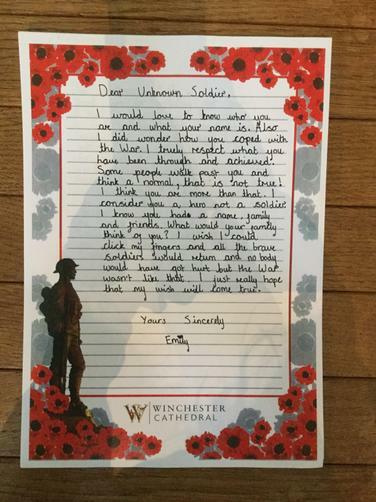 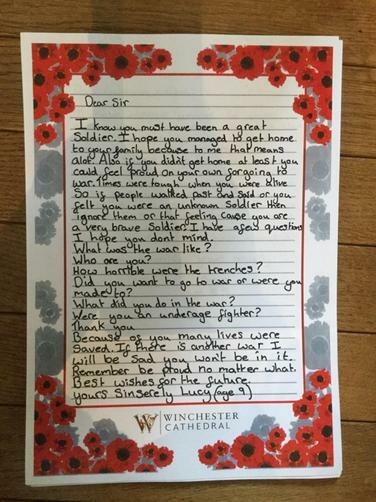 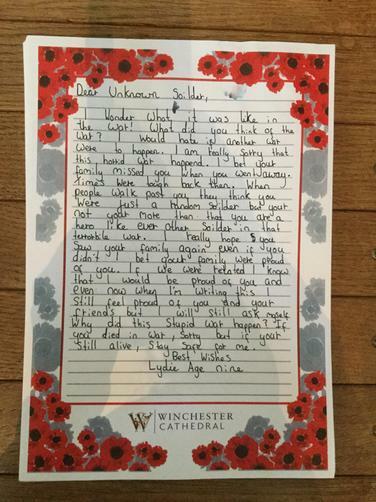 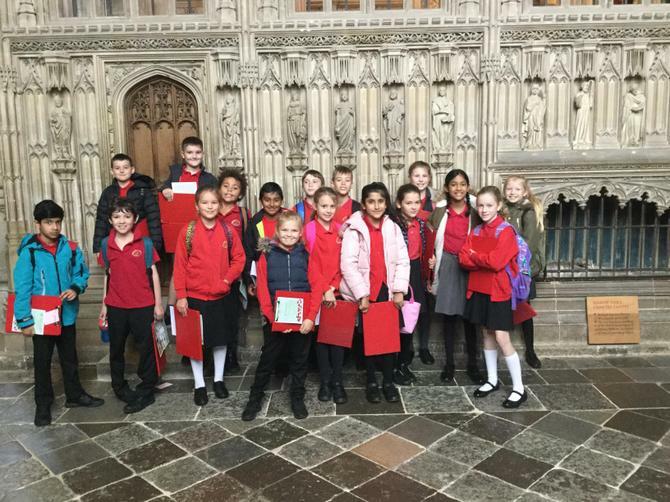 Year 5 were invited to Winchester Cathedral to support this years WW1 commemorations. 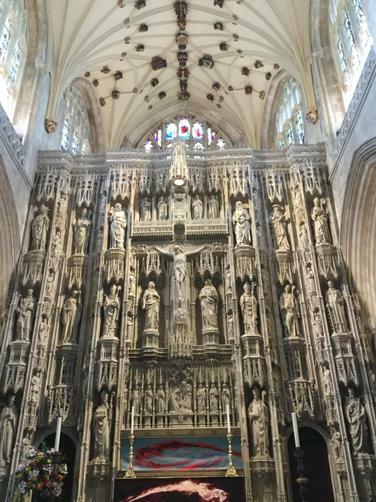 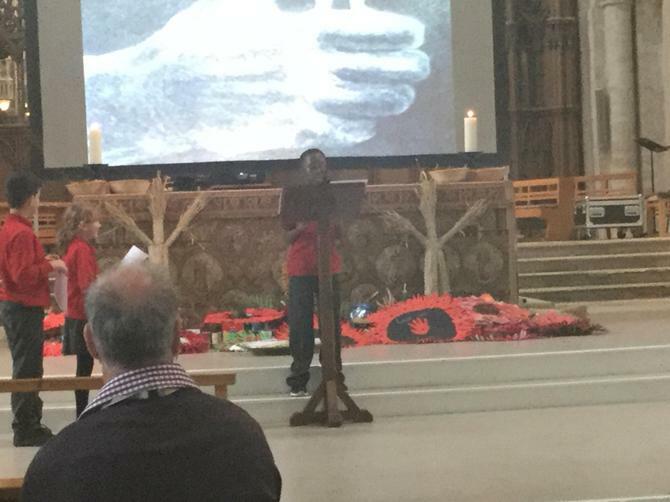 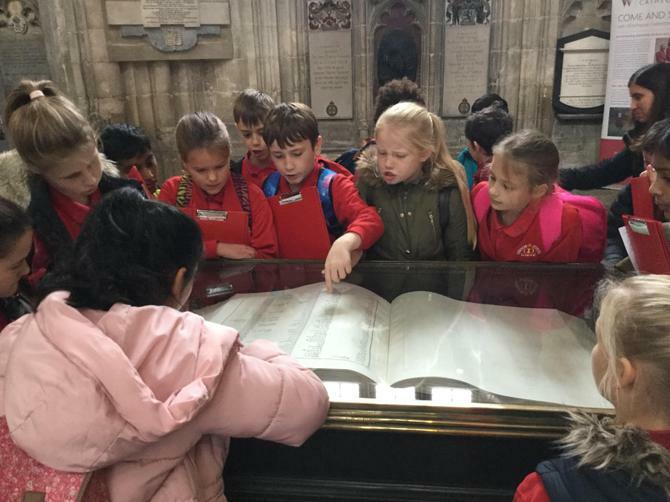 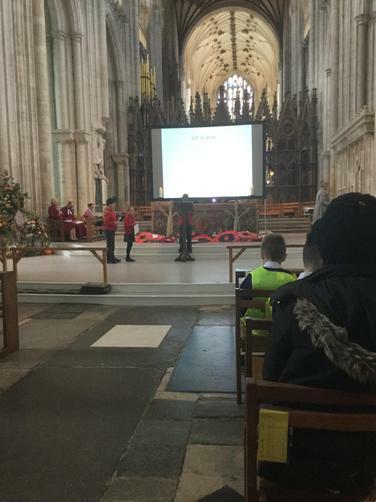 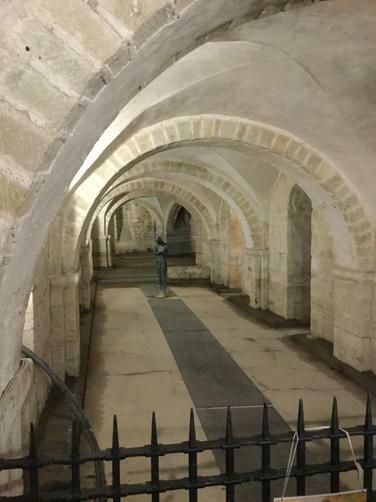 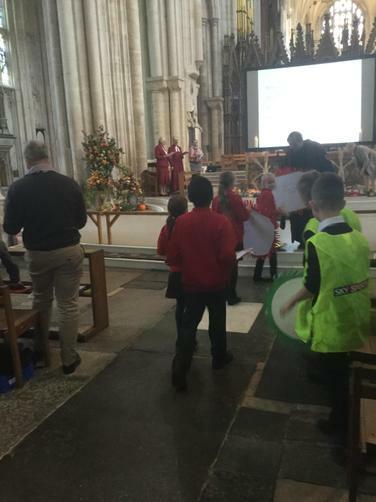 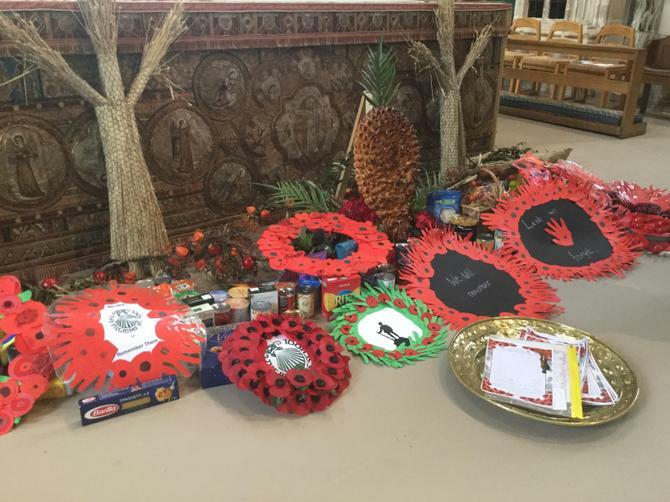 As this year is 100 years since the end of the war the children had the opportunity to learn about the war, explore the cathedral and how it links to WW1 and then took part in a service at the end of the day. 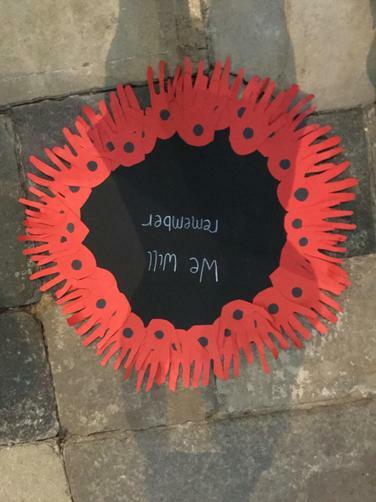 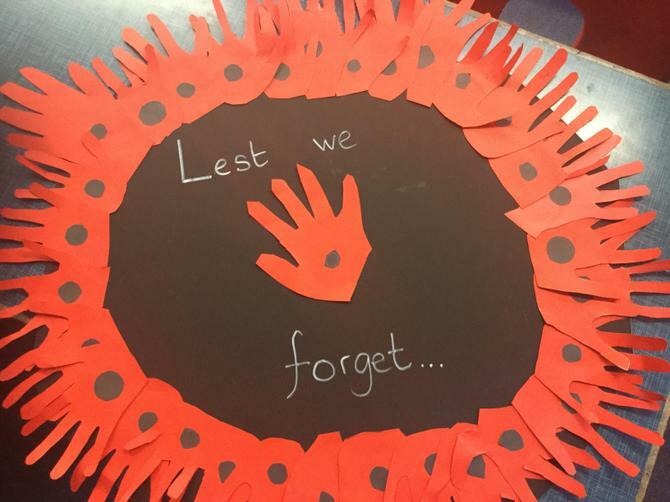 In preparation for this the children wrote letters to the unknown soldier and as classes we made a poppy wreath out of our hand prints. 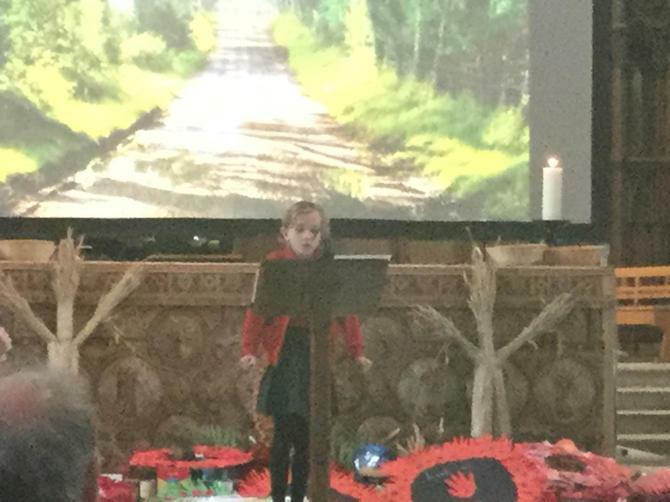 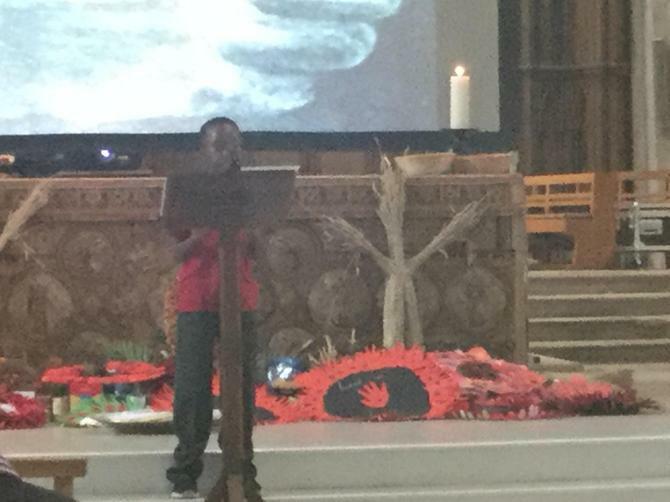 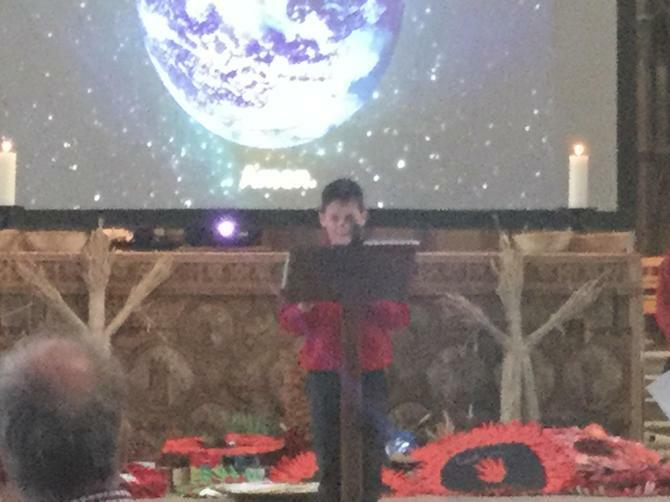 Merdon was the only school chosen to read prayers during the service and read them beautifully.